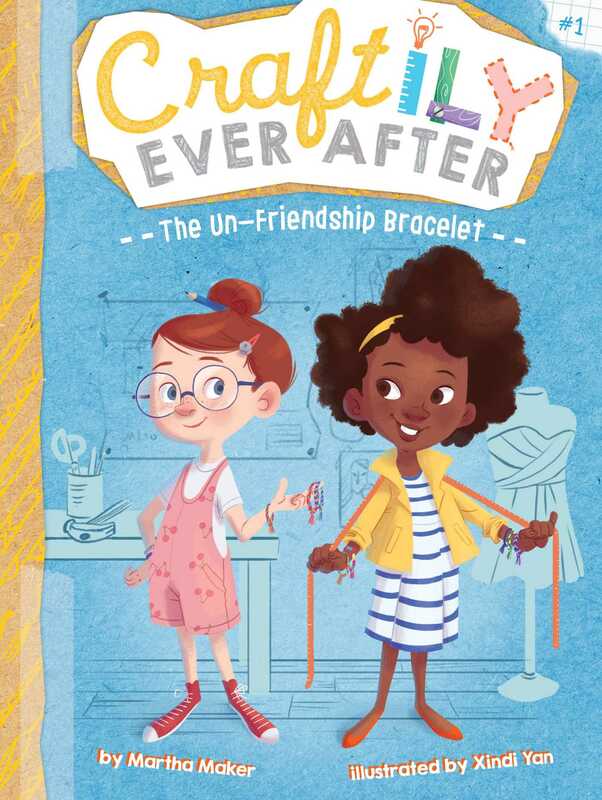 In the first Craftily Ever After book, best friends Emily and Maddie are so close that they spend most of their free time together, and wear matching friendship bracelets, too! One day, a new student named Bella Diaz shows up at Mason Creek Elementary. Maddie immediately befriends her, discovering that she too is really crafty. As Maddie and Bella spend more time together, Emily finds herself spending more time alone…until she realizes that the boy who’s been sitting next to her in class this whole time loves to draw and create just like she does. When Emily’s friendship bracelet falls off and Maddie doesn’t even notice, Emily begins to think that maybe it was an un-friendship bracelet after all.